Performing in and around Annapolis since 1999, The Vicki Roberts Band sounds range from acoustic selections to their unique full band sound. Listen to acoustic covers from artists such as Lynyrd Skynyrd, Bob Seger, Fleetwood MAC, Jimmy Buffett, Bob Marley, or Zac Brown Band. Or pick it up a beat or two with full band sounds from Doobie Brothers, The Eagles, Train, Kidd Rock, Van Morrison, CCR, and Marshall Tucker. And don't forget when it is time to dance to KC and The Sunshine Band, Sugarland, The Blues Brothers, or Stevie Wonder. 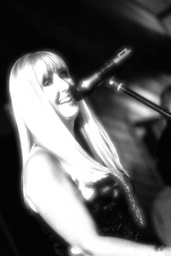 Performances in bars, lounges, dock bars, and clubs, The Vicki Roberts Band is also available for private functions ranging from company picinics, July 4th celebrations, weddings, birthday's and Christmas parties.